8 Limbs is pleased to publish monthly Teacher Profiles to help you to know and learn from the amazing group of 8 Limbs Yoga Teachers. This month we profile Megan Costello, who teaches at 8 Limbs Wedgwood. Hobbies/interests: I love being outdoors and my partner and I usually spend at least one weekend day outside hiking, snowshoeing, kayaking…whatever the weather permits! We are also avid travelers and any chance we get, we love to explore different places we’ve never been. When I’m home, I love to be in the kitchen cooking and in the winter you’ll find me pickle making, fermenting and making jam. What non-yoga book are you reading/did you recently read? 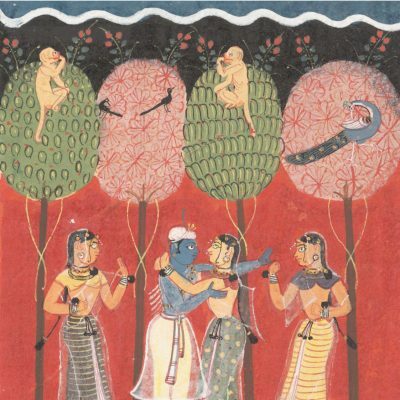 Astrology and the Rise of Kundalini by Barbara Hand Clow. If you’ve practiced with me before, you probably know I like to geek out on astrology. Yoga book you recommend: The Radiance Sutras by Lorin Roche is one of my all time favorite philosophical approaches to the wisdom and essence of yoga teachings. He recently released a newer translation and his translations are so lyrical and beautiful, they almost sing their way off the page. Definitely a must read for those wanting to go deeper into their practice. I like to pick on sutra and spend the week meditating with that sutra each morning. Favorite yoga practice/pose and why: I love inversions! There is something about turning my world upside down that is not only invigorating but also reminds me that in life, when things get turned upside down or show up in a way I don’t expect, I can choose to enjoy it rather than try to fight it. One secret that helps you stay healthy: I have found my daily meditation practice to be what keeps me the healthiest. Sitting for even 5 minutes each day helps me clear my head, find my breath and approach my day with groundedness and clarity. Plus it helps me set positive intentions for my day. Currently inspired by: I have had the great privilege to share in many women’s circles and I am continually inspired by the strong, wise women in my life. Adrienne Rich writes, “The connections between and among women are the most feared, the most problematic, and the most potentially transforming force on the planet.” I am overwhelmed with gratitude for the women who touch my life each and every day not only in my personal life, but in particular watching the women move through my prenatal and postnatal classes as the move through the journey of motherhood. The connections we make and the power we witness in one another is profound. Anything you want to share with our community? Find something you love to do and share it with the world. 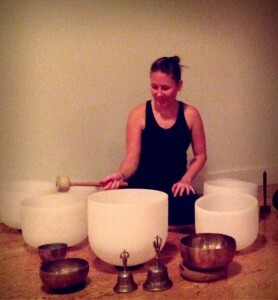 Megan hosts two monthly Sound Baths at 8 Limbs Wedgwood, Full Moon Sound Baths and starting February 20, Chakra Activation Sound Baths. Join her for some sublime sounds!